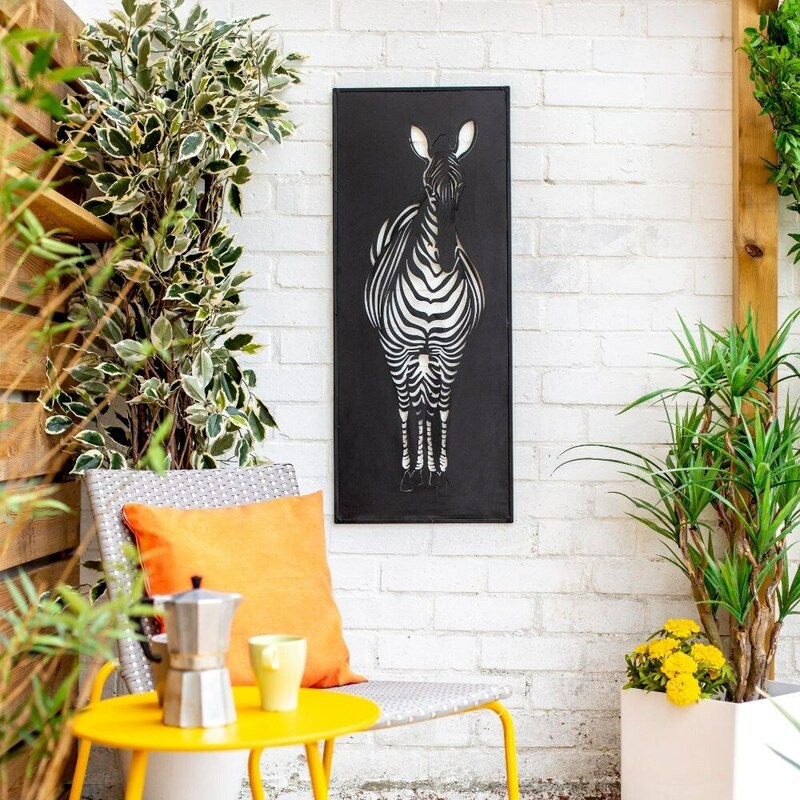 Made from steel with a weather-resistant black powder coat, the laser cut design allows the colour beneath to fill in the zebra’s stripes. Mount against a white wall to keep it traditional or use a coloured background for a more contemporary twist. We also stock another design with a vintage-style rusted finish (sold separately).